pokejungle’s note: We do NOT condone hacking Pokémon, views expressed in this article are solely those of the writer. Any links to hacking sites or software will be removed in the comments. This article is for discussion about the topic only and is not meant in any way to encourage activities which are contrary to the way GameFreak has designed. 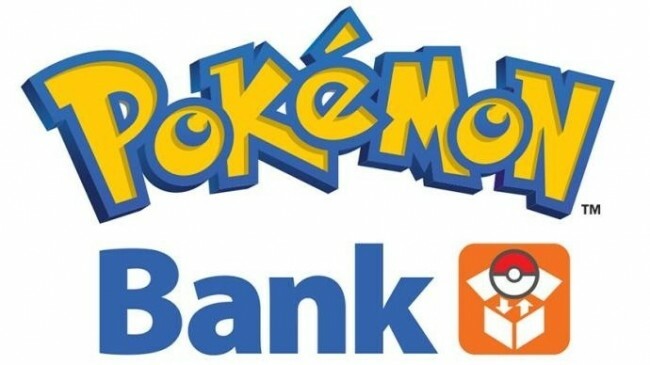 Many individuals speculated upon the initial release of Pokémon Bank was that the reason why it was delayed for so long was that it A.) had a ridiculous server load and B.) Didn’t come close to stopping hacked ‘mons. Well, Game Freak finally released it in the west with some impressive results; the servers run (relatively) smooth and there are plenty of checks to block hacked Pokémon from entering. Does it work? Yeah, and it does a decent job. Is it perfect? Far from it. I’m a Pokemon hacker. Yes, I admit it. I’ve been hacking ‘mons since the days of Ruby and Sapphire (I only played the rom and never owned a GBA). I’ve never had events readily available until recently, so Pokémon like Deoxys and Darkrai were never in my PC box. Having all three starters was a far stretch of a possibility, as was filling the Pokédex by the means of trading. I used Action Replays and (only recently) programs like Pokégen to experiment with teams and play with some of the more elusive Pokémon in-game. Never have I hacked abilities, moves, and IVs to create some impossible Pokémon to abuse online. I just do it for the fun solo gaming experience and to test out some new teams combinations without the time constraint that often plagues EV training and move breeding. When Pokémon Bank announced that they would block hacked Pokémon from their servers, I was a bit distressed. How will I manage to obtain the starters without spending time replaying old games and stalking the trade boards? 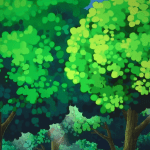 What about all of the cool events that I’ve missed in the past like Shaymin and Keldeo? I immediately started searching online just to see how well this hack blocking worked. If there’s a will, there’s a way, right? It turns out that there is a hacking check in Transporter and in Bank. If you try to transfer a hacked Pokémon like, say, a Shiny Chimchar with perfect nature and maxed out IVs, it will probably be flagged because the chances of obtaining one of that quality are outstandingly low (obviously hacked abilities and moves sets that the original Pokémon can’t learn will be flagged as well). However, if you decide to be modest with the IVs, maybe forego the shiny coloring and tweak the the location / date met, it’ll probably bypass the check. It’s a bit tricky, especially with event Pokémon, but there are sites out there like Pokédit and programs such as Pokégen that have special event Pokémon that are specifically built to bypass any anti-hacking programs. And, as far as I know, these Pokémon can be used online in battles. I haven’t tested these boundaries fully, but I have used a hacked event Meloetta in an online battle to see if it would work, and it passed through easily. The chances of getting a shiny with perfect stats is low, but not impossible, right? This is a problem that the few lucky trainers out there have been experiencing. I’ve been carousing a few message boards for information and theories of how the hack check works and have found a number of individuals who actually did receive a perfect shiny starter. They did legitimately catch that Shiny Modest Kyogre and it did happen to have amazing IVs. Well, Pokémon Bank flagged their precious teammates as hacked when they were apparently legitimate. I don’t know how honest those few people are, but I recall reading more than one incident of legit Pokémon not being able to be transferring. I suppose that Gamefreak needed to add a no-exception policy as to rule out the numerous hacks out there that ruin the delicate balance of the game. Unfortunately, this does affect those very small few who were actually lucky enough to obtain these excellent Pokémon legitimately. 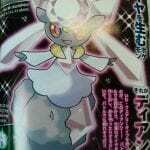 I guess Gamefreak was willing to make this sacrifice. From the looks of it, the fans haven’t been too horribly upset as it seems like a lot of them were only transferring these Pokémon for the sake of transferring them and don’t actually use them in battle, but I’m sure it’s pissed off its share of players. So, to put it simply, Gamefreak makes a solid attempt to limit the amount of hacking that has overrun the late Pokémon games, but in the end it still exists. It will probably always exist – with new technology comes new loopholes for people to discover and exploit. Hopefully these loopholes will not affect the metagame too much, but I do appreciate the additional accessibility that these sites and services provide! What do you think about hacking? For it? Against it? Leave your (constructive) feedback below with your personal opinion.